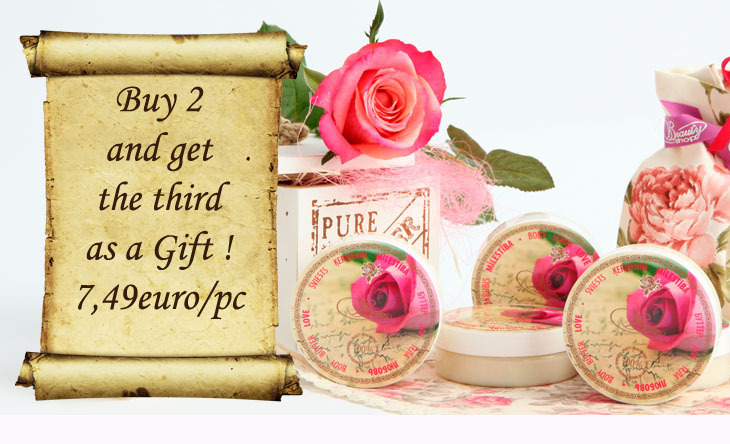 Buy 2 Body butters (9,90 euro/1pc) and get the third as a gift! 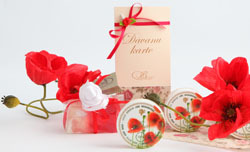 By purchasing of any of body oils/19.90 EUR natural body butter for FREE!!! 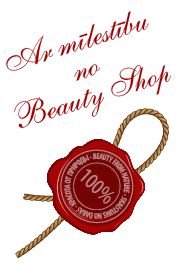 Welcome to the world of natural hand made cosmetics! 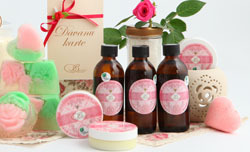 Beauty Shop concept was created in Latvia in 2009 and represents natural handmade cosmetic for body care and bathing. Our product range consists of 11 groups of goods and about 400 different varieties of products: aromatic soap in bars and other beautiful shapes, sparkling bath "bombs, aroma milks and salts for bathing, body butter, body scrubs, massage and aromatherapy oils. Plenty of lovely accessories complement our concept: massage accessories, combs, brushes for cleaning and care of the body, wicker baskets, lace napkins, toilet bags, and more. The whole concept is presented in a vintage French style, which has awakened in us the inspiration to create it. "Beauty Shop" acquired the mark "Natural product" / "Dabīgs produkts" , which confirms the high quality of our cosmetics, and the fact that it does not contain any composition of any of harmful additives and made from natural ingredients. You are very welcome to Beauty Shop!